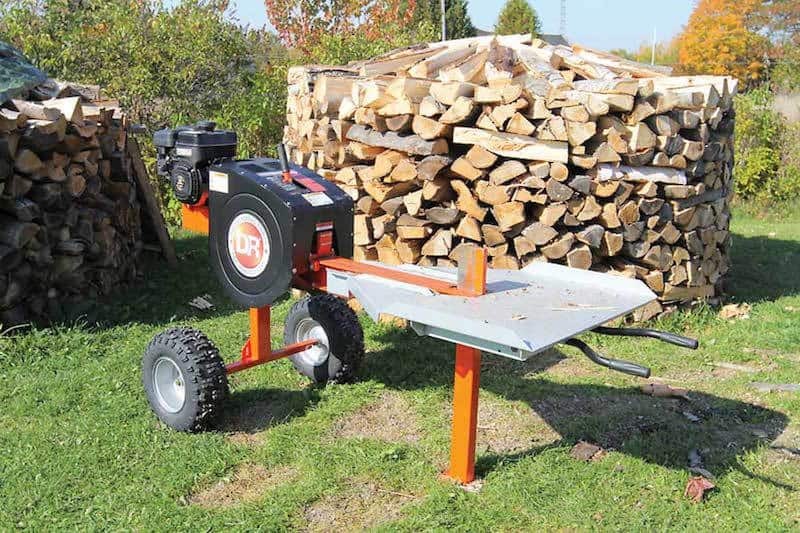 There are three different types of log splitters available; the three categories are electric, gas and manual. Determining which type is the best type for you, ultimately depends on your needs as well as the budget that you have to work with. (For our in depth review of 10 of the best gas and electric splitters on the market head here). 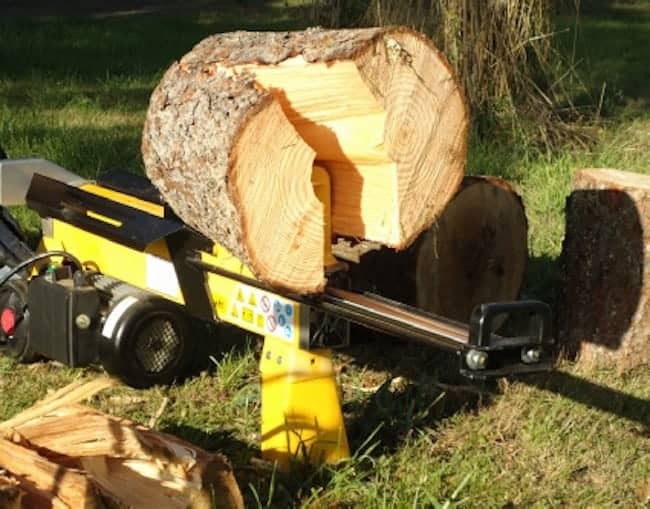 The log splitter is a piece of equipment that can save you lots of time and energy. However, it is critical to use it correctly. They are very often used by professional gardeners and foresters to make logs more manageable to transport for further processing. Gas or Electric Powered Log Splitter? 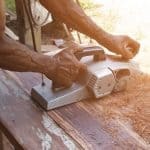 Home users may opt for a manual or small electric log splitter for preparing firewood from larger logs of wood. 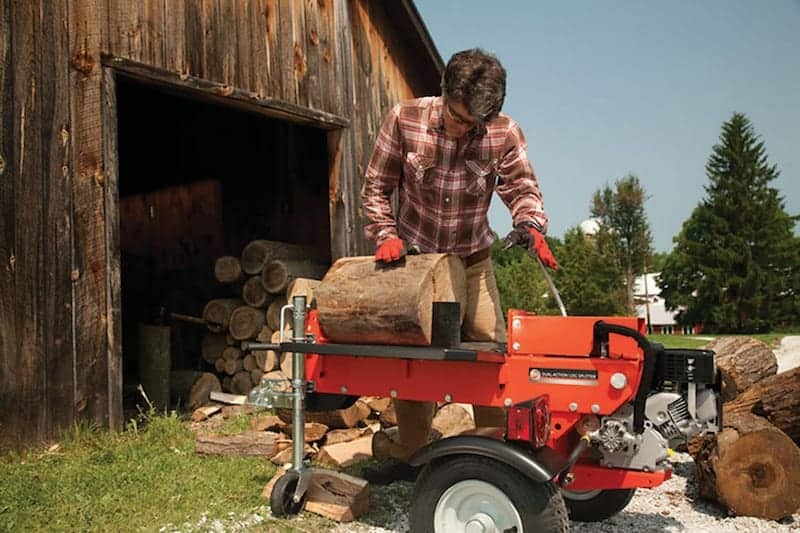 However, if you need a powerful splitter to cut larger logs, then the gas powered model could well be perfect for you. 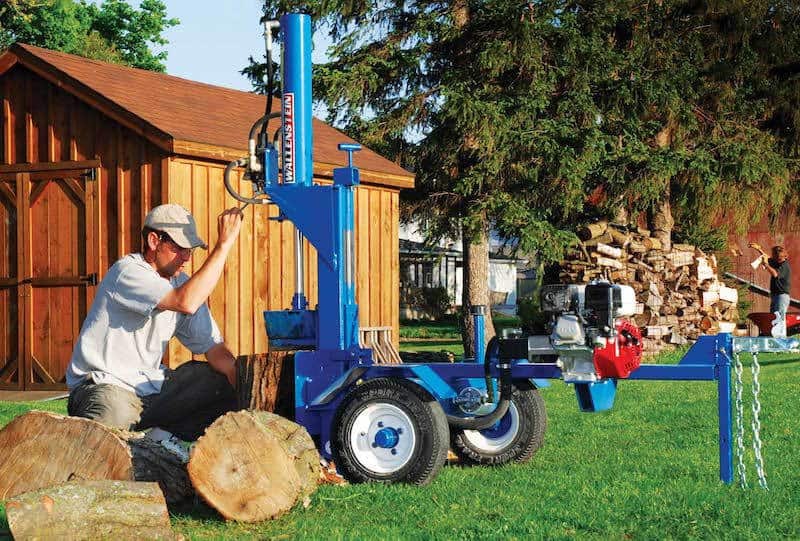 If you anticipate only using a log splitter once, hiring one to save costs is a worthwhile option. After finding the right splitter, it’s time to cut some logs. Make sure to use this gardening tool on a level ground, and to also wear safety glasses and gloves. Then check the engine for gas and hydraulic oil. If the levels are good you can turn the switch to start the motor. Afterward, put the log you are splitting against the wedge, activate the piston, and push the log until it splits. It’s important to press the log slowly to avoid getting hurt, or possibly damaging the wood. If you are using a manual splinter, then there’s a different procedure that you must follow. Tighten the screw on a hydraulic jack and put the log on the splitter. Slowly split the log into halves and then release the pin on the jack so you can put the cylinder back in place to tighten the bolt. 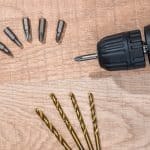 These lightweight tools are easy to store. They can also go in the back of the car should you need to travel with it. 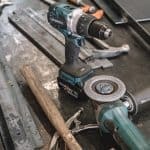 Ideal as a at-home wood splitter, the manual option is for those that don’t mind a bit of elbow grease when cutting up the firewood. They do require quite a bit of manpower but are easier to use than an ax. 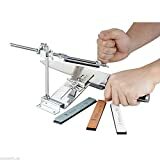 Manual splitters are either foot or hand operated. 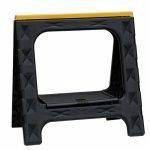 Electric splitters are very popular for home use. 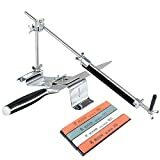 They are easy to operate, are generally very portable and more affordable than a gas log splitter. Depending on the price of gas (and your electricity rates) they are also cheaper to run. Electric splitters have lower powered motors which makes them ideal for moderate use on smaller sized logs. Another great feature is that, should you wish to, they can be used indoors. There is still the issue of noise and dust though. Powerful and fast, gas powered hydraulic splitters are at the top of the food chain when it comes to cutting wood. 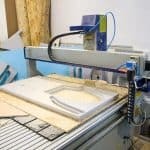 They also have a larger surface area for cutting than the manual or electric type. Hydraulic wood splitters come in various sizes. If you are looking for convenience, you can purchase a model that has DOT approved wheels for easy mobility from place to place. A horizontal splitter works well if you are splitting hundreds of logs each year. If you have heavier logs that you are not able to lift on your own, vertical splitters can assist you best. Many models have the option to switch back and forth between vertical and horizontal. Always remember that it’s initially important to make sure that children and animal are not around the premises. Debris from splitting the wood can ultimately get in there eyes resulting in painful irritations. Also, children are curious by nature, and would most likely try to touch the machine out of fascination. This can seriously hurt them, after all, no one wants to lose a finger. Once you made sure that the premises are cleared and that you are wearing the safety gears, you can properly split your logs to make a beautiful fireplace for your friends and family.